With 365 individual cays and islands, lose yourself in a tropical escape without the bustling tourist crowd. 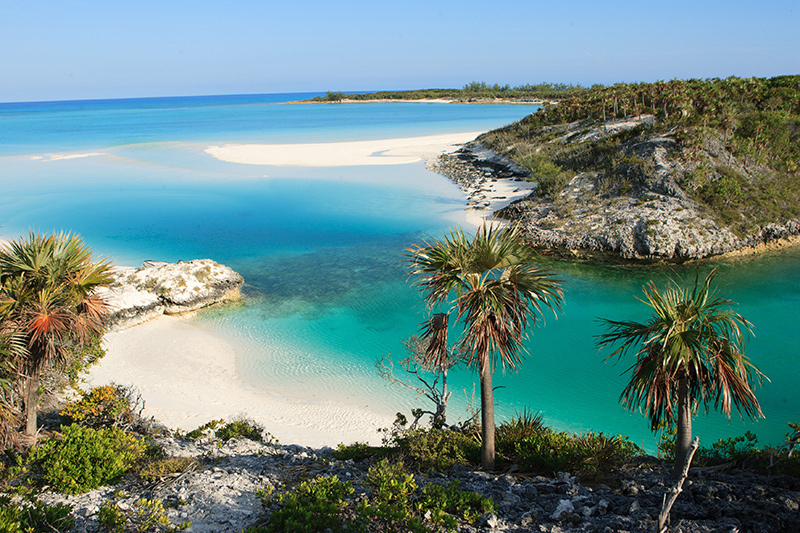 Best known for the captivating turquoise waters that surround them, the Exuma Islands offer endless quiet anchorages, sweeping sandbars, and white sand beaches that seemingly transport you to another world. This chain of 365 islands is part of the Out Islands of the Bahamas, but collectively they hold a much more laid-back vibe, and there’s something unique to be experienced on each of them. Here you’ll enjoy nature in its simplest form. 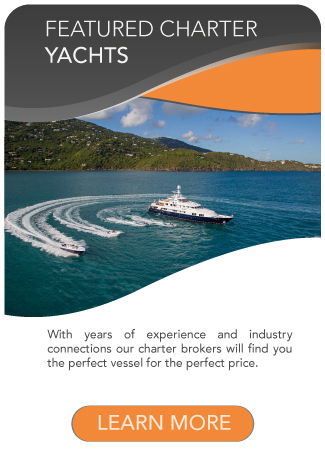 With flawless coastlines, pristine reefs, and exclusive island surroundings, it’s a dream destination for those seeking the ultimate escape, from boaters and fishermen, to divers, snorkelers, and kayakers. 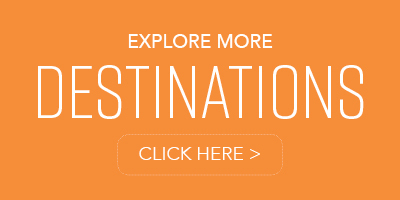 Local attractions of the Exuma Cays won’t disappoint. 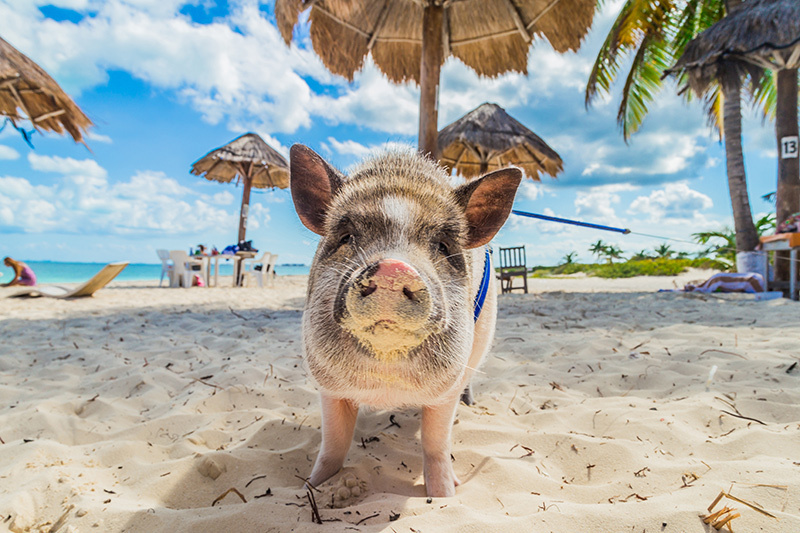 Visit the famed Thunderball Grotto, a cave seen in the James Bond film of the same name, and swim with the now-famous swimming pigs at Big Major’s Spot. Wildlife in the Exumas is plentiful, from the photogenic and surprisingly social nurse sharks at Compass Cay to the Allen’s Cay giant iguanas, fearsome-looking yet gentle creatures that welcome visitors who bring them gifts of vegetables. An elite offering of restaurants and famous nightlife hot-spots can be found hidden among the islands, but these gems are few and far between. 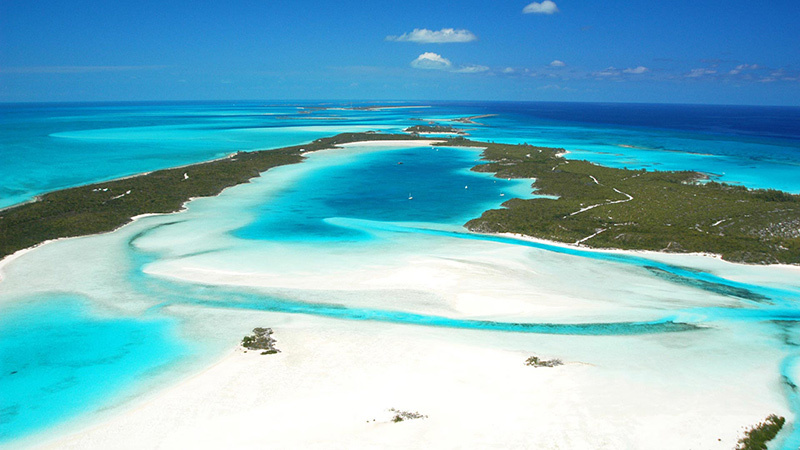 Many of the Exuma Cays are private, some functioning as luxurious private-island resorts and others the ultra-exclusive homes to stars such as Johnny Depp, Tyler Perry, David Copperfield, and country singers Tim McGraw and Faith Hill. 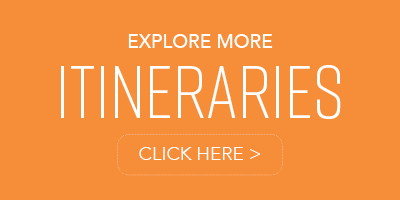 Whether you’re seeking adventure, seclusion, luxury, or relaxation, or a sampling of each, the Exumas offer unequaled possibilities to satisfy your every desire. 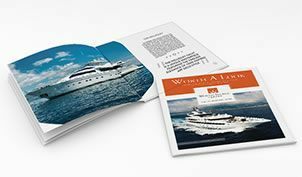 Your journey begins when you meet your yacht at the gorgeous Atlantis Marina in Paradise Island, Nassau. 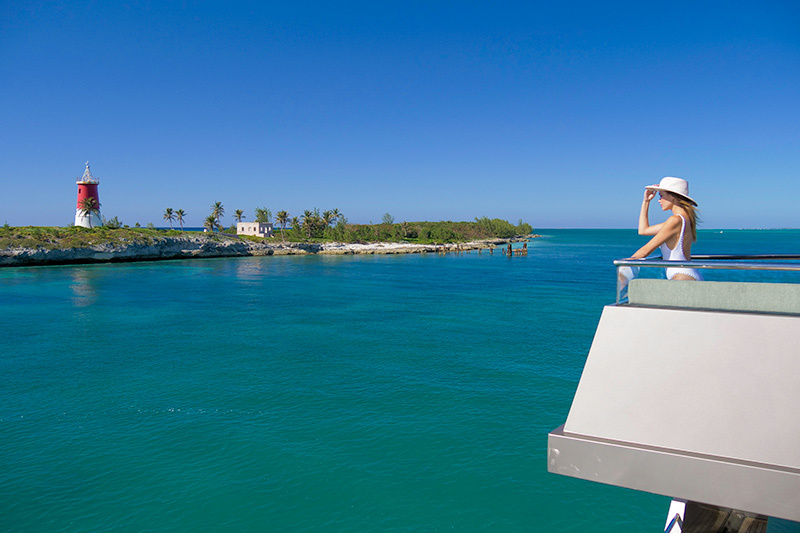 Acquaint yourself with your captain and crew, and prepare for your cruise to Highbourne Cay, known around the world as the gatewayto the Exuma Cays. Upon arrival, take the tender to Allen’s Cay, home to the welcoming Rock Iguanas that wait on the beach for treats from visitors.Enjoy a hike to The Spring for far-reaching sunset views. The waters here are a diver’s dream: crystal clear, abundant with fish, and thought by many to be the bluest of all the waters in the world. 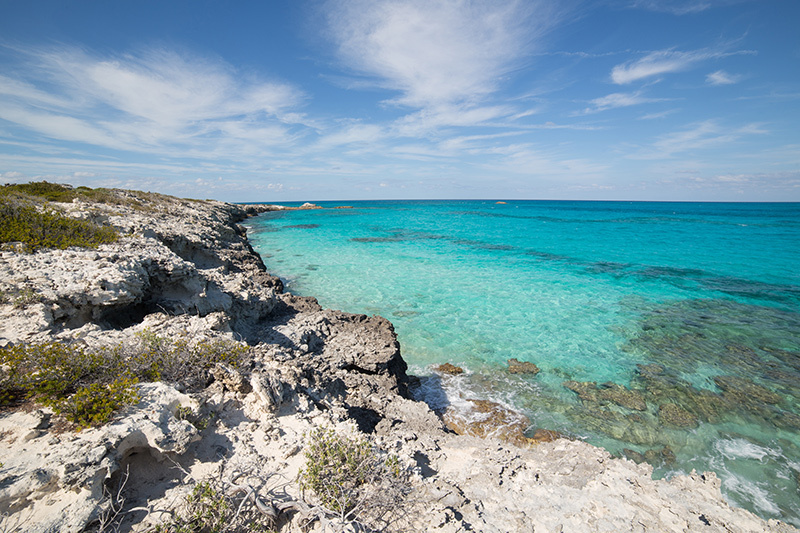 Take an adrenaline-charged plunge at the Exuma Wall, a 75-foot drop-off facing the Exuma Sound, or simply snorkel in the tranquil shallow spots. Make your way to Norman’s Cay, the notorious headquarters for Carlos Lehder’s drug smuggling operation back in his prime. For a naturalist’s paradise, cruise to uninhabited Shroud Cay, where the only footprints on the sandy beaches will be your own. Take an up-close and personal tour of a nearby tidal pool, a tropical haven for birds, sea turtles and fish like you’ve never seen. Then set course for Warderick Wells, home to the Exuma Cays Land and Sea Park, where explorers of all ages can revel in more than seven miles of coastal trails. One in particular, leading to Boo Boo Hill, is a favored path that offers a spectacular panoramic view of the island, the anchorage, and Exuma Sound. Cruise over to Bell’s Cay and make time for snorkeling at a spot commonly referred to as the Aquarium, where upon entering the water, you’ll be immersed in schools of brilliantly colored fish. Swim and socialize with the friendly nurse sharks that make the docks of Compass Cay their home, or find the famous “Rachel’s Bubble Bath,” a natural whirlpool. The private island of Fowl Cay boasts a stunning coral reef, as well as a perfectly-shaped crescent beach. Dine at Hill House and enjoy 360 degree views of the surrounding islands. From the splendid surrounding coves and beaches to vibrant over-the-water cottages that line its shore, Staniel Cay is a picturesque island filled with adventure. Tour Thunderball Grotto, the famous cave featured in several James Bond movies, visit Big Major’s Spot and swim with the popular swimming pigs, or take the tender to explore smaller cays unreachable by yachts and picnic on a sweeping sandbar. After a day of adventure, slow down and enjoy a cocktail and a bite at the new Staniel Cay Yacht Club restaurant. The options are virtually limitless. While voyaging back to Paradise Island, plan to visit the casino, play a round on a world-class golf course, or take advantage of some fantastic duty-free shopping before your respite comes to an end. (equivalent to 22° Celsius) near the shorelines.